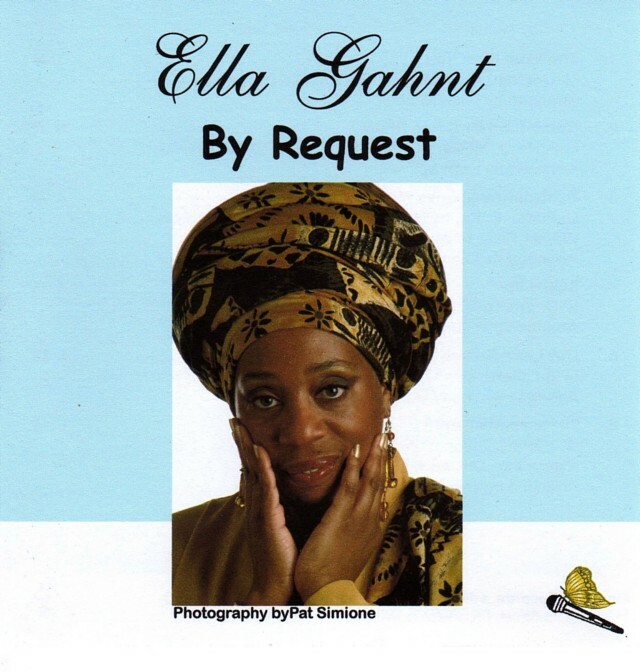 Welcome to Ella Gahnt's Official Website! I am a vocalist in the jazz/traditional pop style and I am honored to say I perform with some of the most talented musicians in the quad-state area of Philadelphia, New Jersey, Delaware and New York, who have also become some of my closest friends. Together, we tell stories in songs written and made famous by the best songwriters and singers in the world. 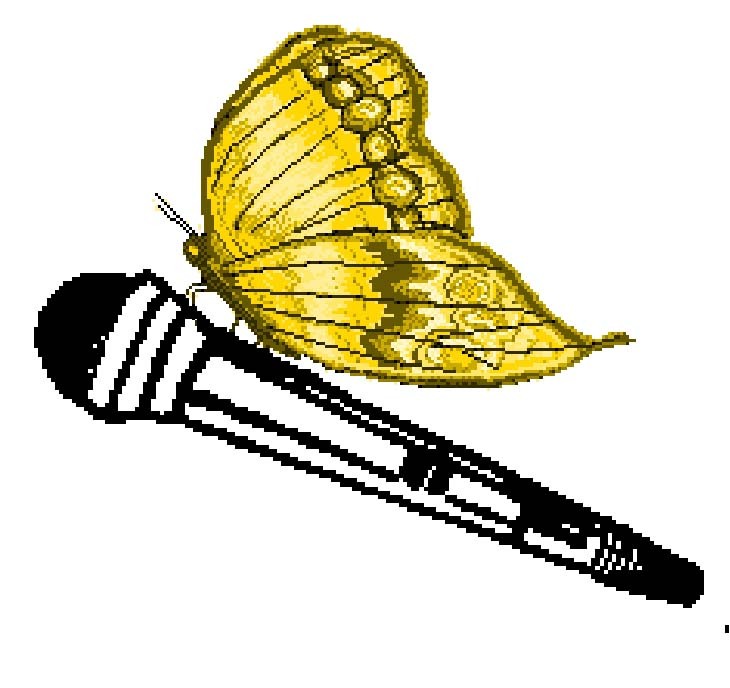 I have worked professionally as a studio vocalist/performer for many years in public and private venues around the area. Some of my most memorable performance sites include the Painted Bride for the CoreStates Corporate Night featuring the "Philly Divas of Jazz, Poetry, and Comedy" in Philadelphia, PA, as well as the fantastic "Just Us" Concert with Ms. Pearl Williams, the Philly Fall Festival of Jazz at WHYY-TV's Forum Theatre, Haverford College in Haverford, PA, Temple University in Philadelphia, PA, Annenberg's Zellerbach Theatre in Philadelphia, PA, and The Philadelphia Clef Club of Jazz & Performing Arts. I get so excited when I perform because the musicians I work with always create a beautiful carpet for me to fly on. When we collaborate, we provide entertainment as vocalist with piano, bass, and drums, occasionally adding a tenor saxophone, or as a duo with piano or with guitar. Sometimes I work as vocalist with 2 guitars….what a mood that creates! I am very fortunate to have 2 CDs playing on WRTI-FM, Philadelphia's Jazz Radio station, several other Radio stations on the East Coast, and quite a few Internet Radio Stations. 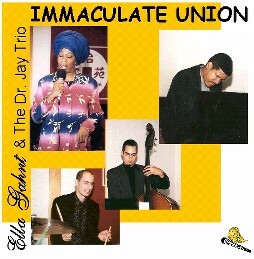 My first CD is entitled "Immaculate Union" and it's a collaborative effort by The Dr. Jay Trio (Dr. Jay Fluellen-pianist, Micah Jones-bass, and Tony Deang4elis-drums), my husband Leon Mitchell (more about him later), and our godson Kenny Thompson. The CD contains some of our favorite standards as well as originals by Leon Mitchell, myself, and several from Dr. Jay. My latest CD is entitled "By Request," and it was created from 2 live performances. The first part of the CD was recorded live in the Performance Hall at WRTI-FM Studios in Philadelphia. The rest of the CD was recorded live from a wonderful sell-out concert we did at the Allens Lane Art Center in Philadelphia during April 2006. The rhythm section at both performances was a wonderful group of young musicians I had met not that long ago...Joshua Richman at the piano, Matt Turowski on bass, and Ryan Vaughn on drums. This is my favorite CD because I really get a chance to stretch out and do my thing...and I laugh a lot. Both of my CDs are on the Inner Fire Record label. You can hear sound bites from "By Request" and purchase it right now by clicking HERE or click on the CD BABY link above. You can hear sound bites from "Immaculate Union" and purchase it right now by clicking HERE, or click on the CD BABY link above. I believe my job as a vocalist is to convey an interpretation of the songwriter's story to the audience with as much emotion, clarity, beauty, and technique as possible. My personal challenge when I perform is to control the balance between all of these things and enjoy the experience at the same time. It’s the most difficult thing I do and the most enjoyable thing I do. I'm happy to acknowledge Leon Mitchell who is my husband, my manager, my spiritual guide, and my best friend. Leon is a permanent fixture in the Jazz world, particularly in Philadelphia (you should see his Bio!). Leon is also the Musical Director of the Philadelphia Legends of Jazz Orchestra – 16 cats swinging and Ella Gahnt singing! 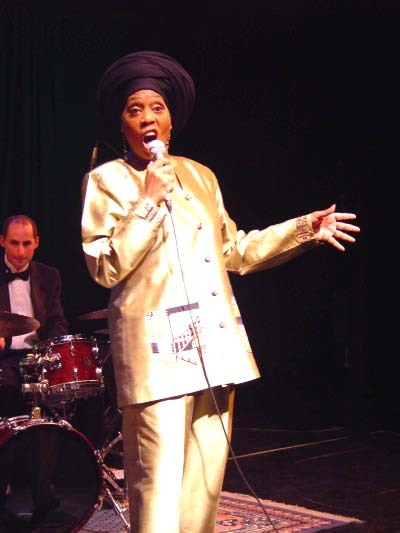 We perform the Jazz tunes and music styles of the Philly Legends from the 40’s, 50’s, and 60’s. Whatta band! Leon and I are passionate supporters of Philly Jazz. Anyone who knows us is aware of the fact that we don't just pay lip service to supporting Live Jazz in Philadelphia. If you're doing a Jazz concert, we're there! No force is stronger than the Jazz Community (musicians, Jazz organizations, and fans) supporting the music by attending events and spreading the word! We also work directly with The Jazz Bridge Project, a wonderful 501(c) 3 organization that helps Jazz Musicians in the Philadelphia, New Jersey and Delaware area in times of crisis. Jazz Bridge is a very important organization to us since so many of our friends who are Jazz musicians have struggled to take care of those basic needs some of us take for granted, particularly in older years of performance, like health care and eye care. We hope you will become a supporter of the Jazz Bridge Project by clicking HERE or on the Jazz Bride Project link listed above and to the left and making a donation to this important organization. Thanks for your support! We'll be expanding and adding to this website regularly, so stay tuned for more from the Philadelphia Jazz Community! I hope you’ll give us the opportunity to bring our musical exploration to you soon. In the meantime, as Leon says, "Please remember to treat yourself better than anyone else ever will."